As new residents of Colorado, Tom and I were worried we weren't going to find the right home in this booming real estate market. We have been looking on our own for a few months and couldn't believe how quickly home values were rising. We knew in order to find our home, we needed to find an aggressive real estate agent who had our best interest at heart and was clear on our budget as well as our wish list. When Tom and I met John and Sue we knew instantly that we wanted to work with them. They met our expectations and went above and beyond to get us the home we wanted. They are very knowledgeable of the region and the moving market, they are experienced and extremely dedicated to their work and clients. Thanks to their efforts we not only got the house we wanted, we saved a significant amount of money. John is a tough negotiator and he and Sue will fight to save you as much money as he can. Plus, his program allows you to receive one percent of the purchase price back at closing! Who does that?! Even after closing, I still seek Sue's advice on some remodeling we are doing to the new house and it is wonderful how she is always available to offer her best advice. 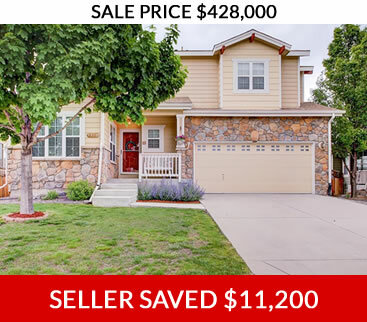 I highly recommend John and Sue to anyone who is serious about staying within budget and finding the right home here in Colorado. Thank you.